Stylish apartment between Waihi Beach and Katikati. 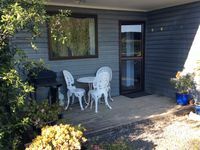 Property 9: Stylish apartment between Waihi Beach and Katikati. Self contained cottage next to swimming pool. Property 10: Self contained cottage next to swimming pool. Family friendly and a short stroll to the beach - you can hear the surf. 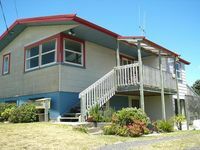 Property 11: Family friendly and a short stroll to the beach - you can hear the surf. SNAZZY! Right in the middle of the action! Property 12: SNAZZY! Right in the middle of the action! Stunning, Private, Secure, and Modern Cottage. Property 16: Stunning, Private, Secure, and Modern Cottage. Property 18: Comfy home opp Gilmour Lake. Brilliantly positioned 35 metres from the beach. Property 32: Brilliantly positioned 35 metres from the beach. This is a real kick back bach - come and relax! Property 40: This is a real kick back bach - come and relax! Relaxing central retreat 500m to beach. Property 47: Relaxing central retreat 500m to beach. Judith and Ian were amazing hosts. The house was clean, warm, private and just lovely. Little touches like flowers and a folder and brochures about the local area made it feel like a motel! Ian took us out on his boat and we were stoked to catch quite a few fish. We will definitely be back. Highly recommended place - country living at its best. Great Bach with all the home comforts! Really enjoyed our stay! Across the road from the beach, close to shops. Neat and tidy, comfy Bach. You may need to drop a bug bomb though, as a family of cockroaches also joined us for the weekend. Cockroaches aside, great place to stay, we will be back.